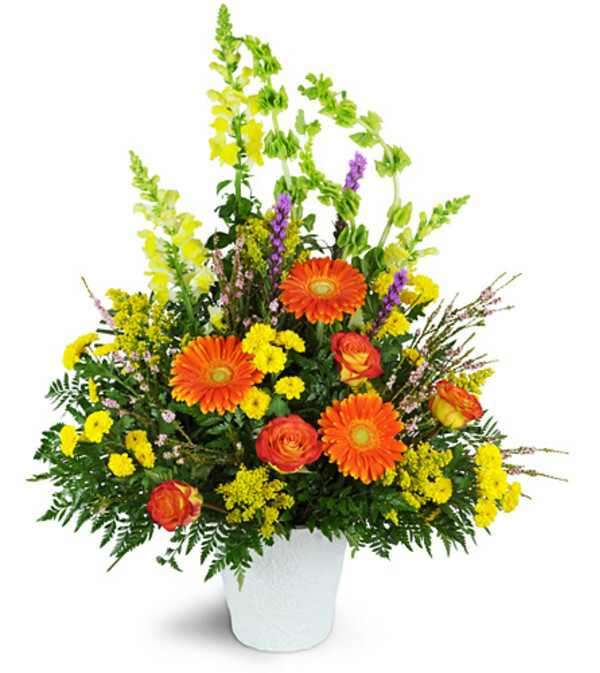 Convey your memories of a bright spirit with our gorgeous, brightly-hued tribute. 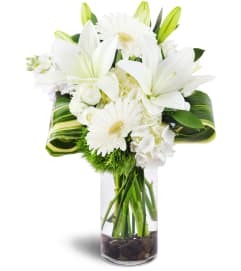 It's a perfect way to express your sympathy while celebrating a spirit that will never be forgotten. 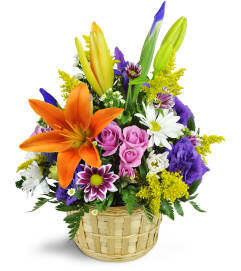 Featuring Gerbera daisies, roses, snapdragons, and more, this arrangement is appropriate to send to the funeral home or service.